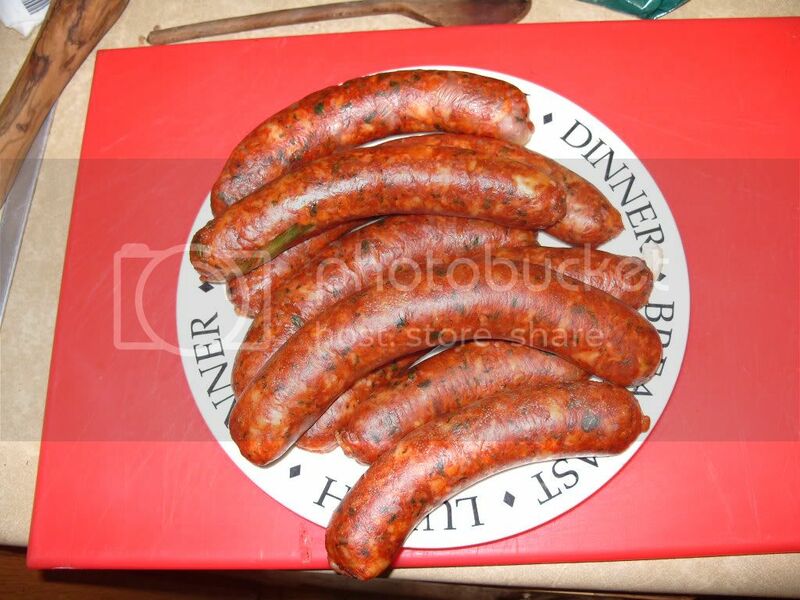 Has anyone out there ever designed or know of a tandoori sausage recipe. Would love to know if it can be done. Great shout Greyham! !...I would really like that too!! Accompanied with a mango chutney ?? All made up just gotta skin up. Taste remarkably good. I've never made it though. Will be interested to see how you get on. My recipe was very simple as it was only an experiment. Beauties What's the wild bittercress? What would you substitute for the wild bittercress (hot bite)? I guess some root ginger would give a hot bite? Does the Tandoori Powder have an ingredients declaration you could post so that we can make it from scratch? ... but most importantly; do they taste as good as they look? Now they DO look good!! I can't let the OH know about this as she is MAD for Indian food...if I mention Tandoori & sausage my life will be hell. The actual mix is tandoori masala powder from one of Bristol local indian delis. It is very good..
Greyham wrote: My recipe was very simple as it was only an experiment. Hi Greyham where would I get this wild bittercress from ?? ?